Trivia Scavenger Hunt at CHOM! Unless otherwise stated, photo provided by Trivia Scavenger Hunt at CHOM! 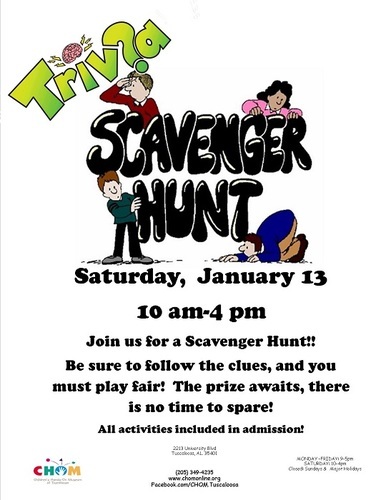 Join us for a Scavenger Hunt!! Be sure to follow the clues, and you must play fair! The prize awaits, there is no time to spare! All activities included in admission!